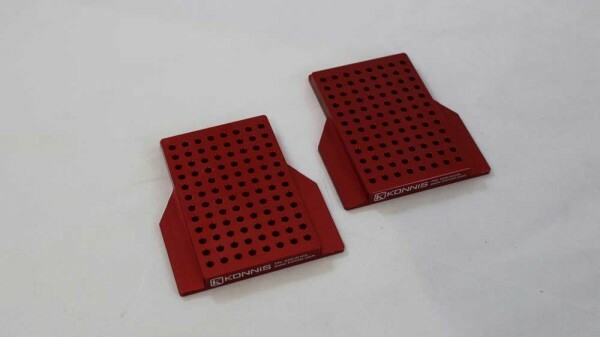 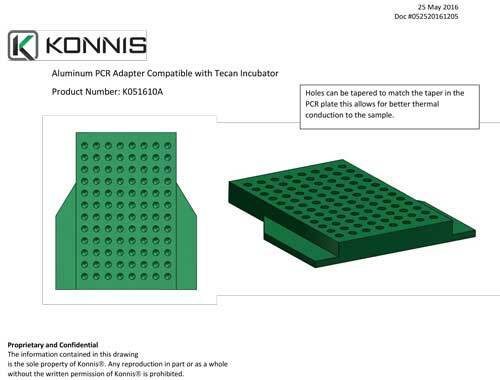 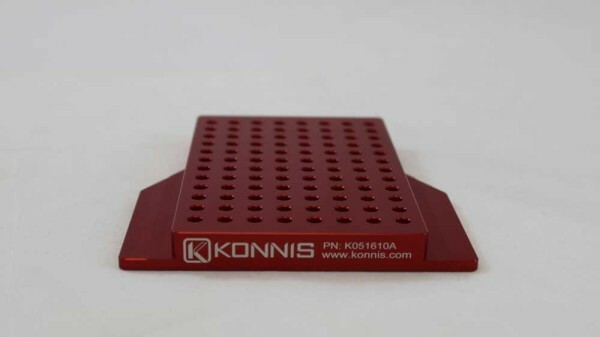 The PCR Plate Temp Adapter was designed to provide maximum surface area contact with the PCR microplate wells to maximize heat transfer. 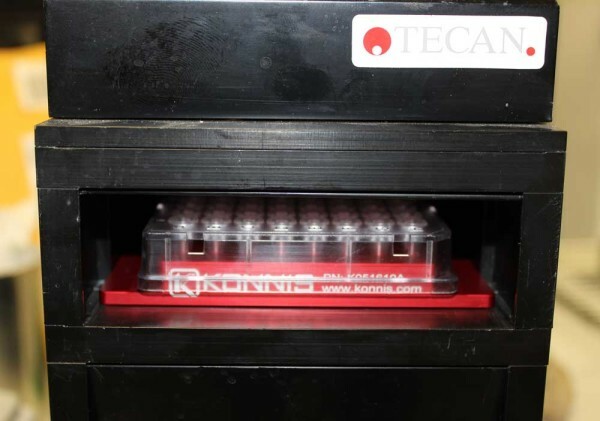 In addition, the plate was designed to stay in the Tecan incubator to maintain the temperature of the aluminum shortening the time for the sample to come to temperature. 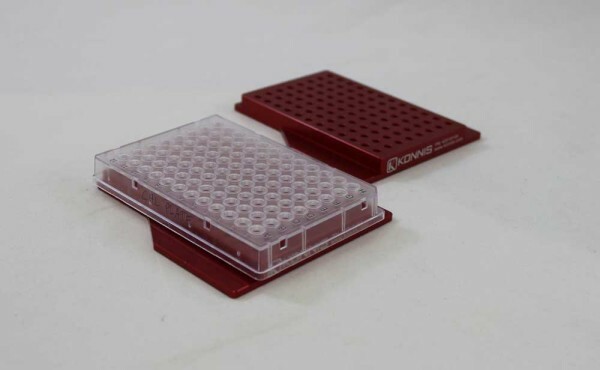 Wings were added for secure positioning when the plates are moved in and out of the incubator by the RoMa arm.